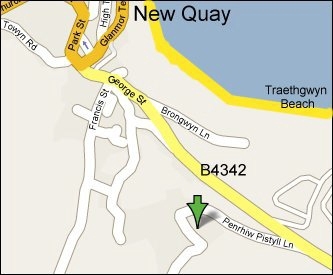 Cynefin, New Quay - Holiday cottage sleeping 4. 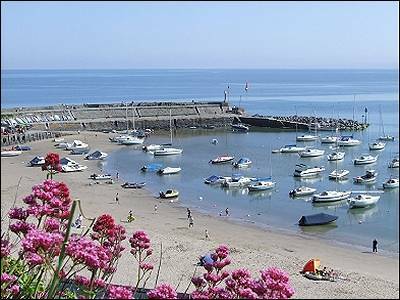 'Cynefin' is a two bedroom cottage in this small Holiday Cottage complex set in 4 acres of grounds and perched high on the hill above New Quay. 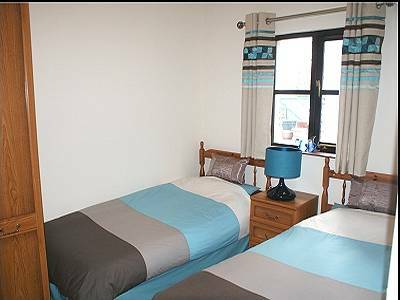 Cynefin has 2 bedrooms - one double and one twin bedroom sleeping up to 4 persons. 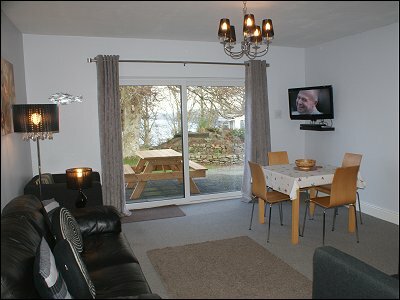 Accommodation: The comfortable Sitting /Dining room has 32 inch flat screen wall mounted TV with freeview. There is also a CD stereo. 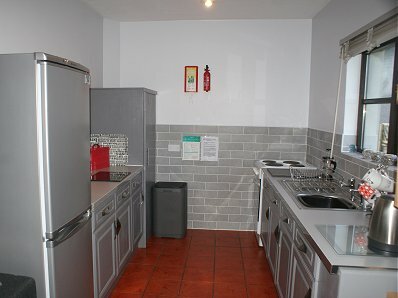 The well equipped kitchen has an electric cooker, separate large fridge / freezer, microwave, and the usual small appliances. The bathroom is also on the ground floor and has a WC, wash basin and electric shower over the bath. 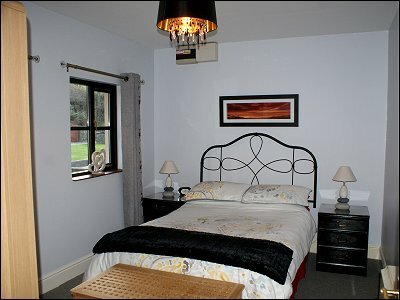 Cynefin has 2 bedrooms - one double and one twin bedroom sleeping up to 4 persons. Bed Linen is provided (but please bring your own towels). The cottage is heated by night storage radiators. All electricity including heating is included in the rental. Please note we do ask our guests not to smoke inside the cottage. GROUNDS - Cynefin has its own private patio area and children's swing and also shares the communal gardens with the other five cottages. 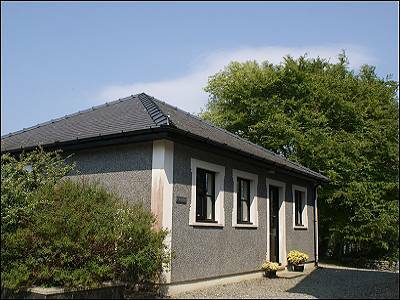 The cottages have a shared coin-operated laundry facility. 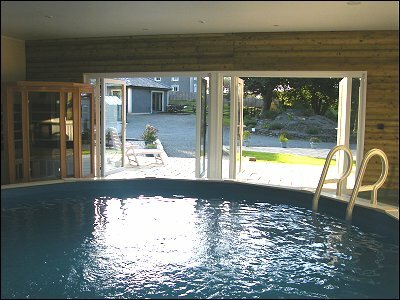 POOL: There is also a new indoor plunge pool close to the the cottage (available from Easter to the end of October). All the guests at Cynefin have access to the pool for a single additional charge of £30 - payable to the complex owner on arrival. PARKING - There is ample parking for 2 cars. 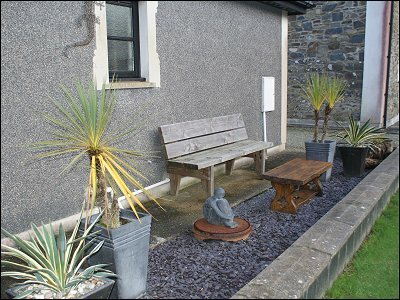 SHORT BREAKS - Short midweek and weekend breaks are available low season by arrangement from £170. 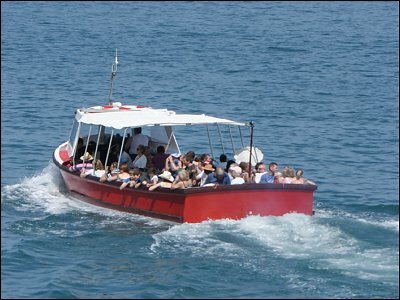 CHILDREN - A travel cot and high chair are available on request. 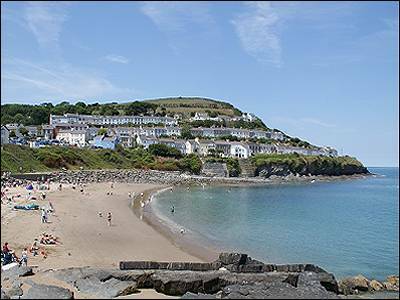 Guests can logon when they arrive to the Penrhiw Pistyll Cottages WI-FI and either pay by PayPal or credit card.